This Art lens is a state-of-the-art alternative to the more conventional 50mm lens. Designed to minimize chromatic aberration, which delivers a cool and smooth out-of-focus image. At low apertures, it performs like a wide-angle lens; @ F1.4, it will provide excellent background bokeh and make the subject pop mimiking mid-range telephoto lens. 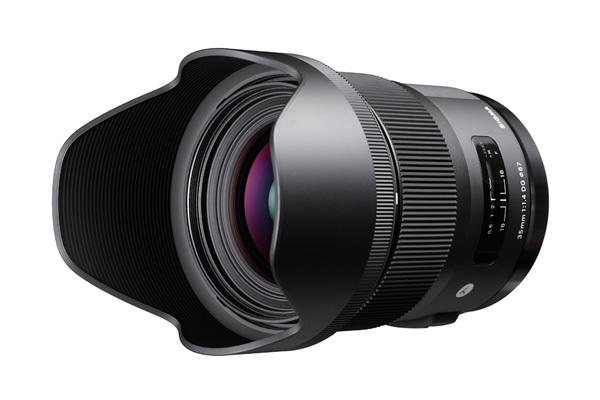 The SIGMA 35mm F1.4 DG HSM is the first lens from the Art line. The Art line is for high-level artistic quality. 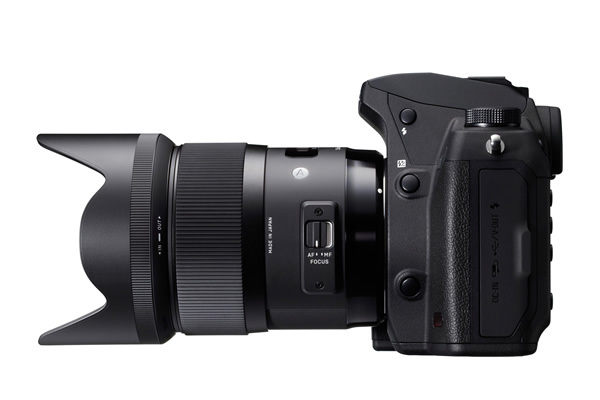 Sigma recently organized all its interchangeable lenses into three product lines; Contemporary, Art and Sports. Focusing on sophisticated optical performance and abundant expressive power, these Art line lenses are designed to delivers high-level artistic expression. These Art lenses are developed to meet the expectations of users who value a creative, dramatic outcome above compactness and multifunction. They are perfect for the kind of photography that unleashes the inner artist such as landscapes, portraits, still-life, close-up, casual or studio photography. They offer expressive scope when capturing architecture, starry skies, underwater shots and many other situations. Specially designed to compensate for color aberration to ensure unsurpassed expressive performance. Aberration is important factor in lens performance. In terms of aberration, there are chromatic aberration of magnification and axial chromatic aberration. To actualize a high-performance lens, one of the essential elements is These aberration correction needs to corrected to create a high-performance lens. You will be able to correct the chromatic aberration of magnification using photo-editing software. But axial chromatic aberration cannot be corrected afterwards. To overcome, both types of aberration problems this lens adds FLD (“F” Low Dispersion) glass elements, equivalent to fluorite, and SLD (Special Low Dispersion) glass elements, and by optimizing the power alignment of the lens. Applying appropriate alignment of aspherical lenses, astigmatism and field curvature are corrected. The result is superior optimum resolution even in peripheral areas and ultra-high image quality through the entire focusing range. 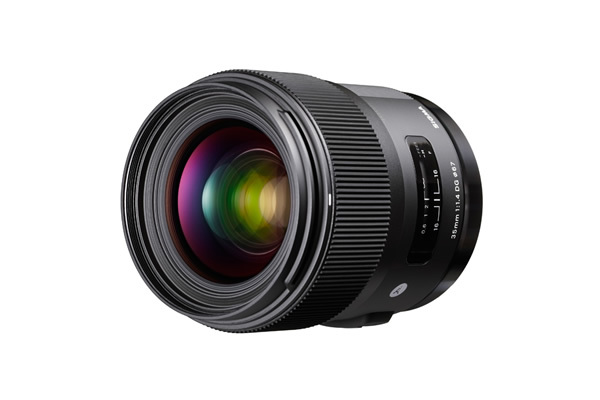 Sigma released its first F1.4 designed lens the SIGMA 30mm F1.4 EX DC HSM in 2005. 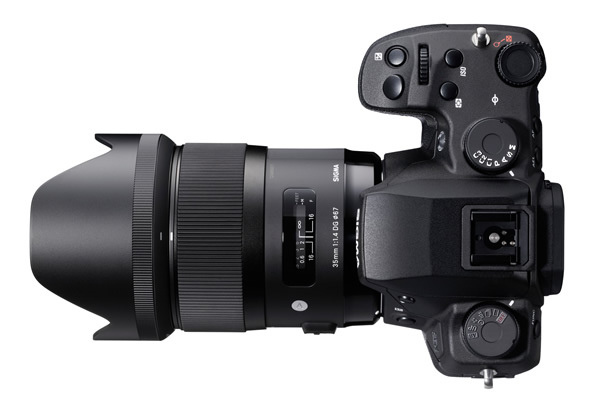 Since then, they continued this trend by introducing high-performance lenses, such as the standard SIGMA 50mm F1.4 EX DG HSM for full frame sensor cameras and the medium telephoto lens, the SIGMA 85mm F1.4 EX DG HSM. 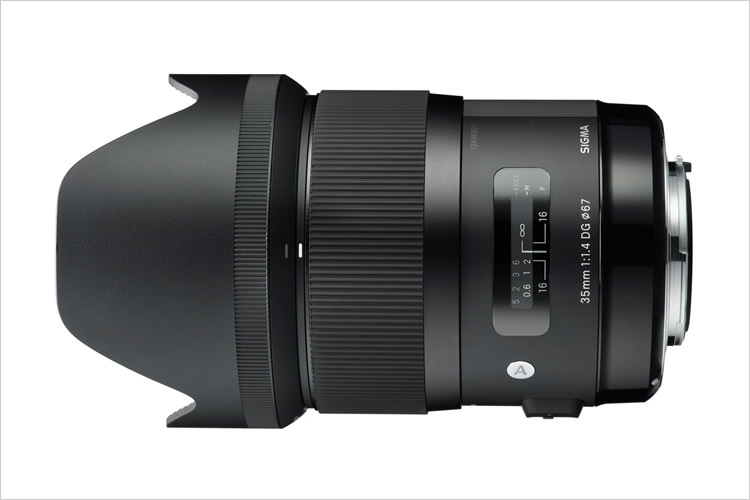 This new lens, SIGMA 35mm F1.4 DG HSM, is the fourth lens that achieves aperture value at F1.4. This ensures excellent brightness and a beautiful artistic bokeh effect or Attractive blur effect. Thanks to the rounded diaphragm, that creates an attractive blur to the out-of-focus areas of the image. This lens is a excellent choice for astrophotography as well, its coma aberration correction enabled less blur on a point light source in peripheral areas. The use of aspheric lens elements have secured peripheral brightness while correcting distortion. This system combat for astigmatic aberration and spherical aberration to achieve extremely high quality image performance for close-up photos. To achieve high rendering on this lens, flare and ghosting were thoroughly measured from an early stage to establish an optical design which is resistant to strong incident light such as backlight. The Super Multi-Layer Coating reduces flare and ghosting and provides sharp and high contrast images even in backlit conditions. The Hyper Sonic Motor or HMS ensures high speed and quiet AF as well as FTM or full-time manual focus override by rotation of the focus ring. 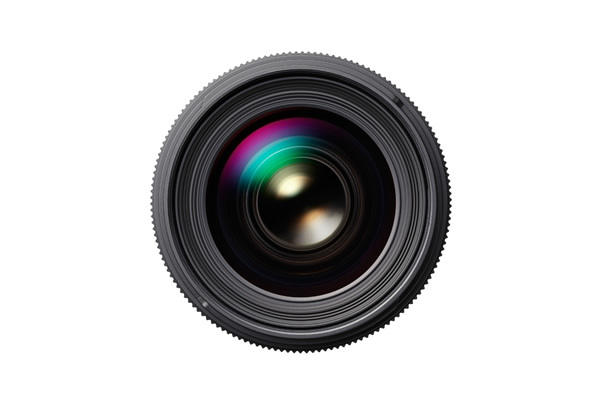 To achieved smoother AF, this lens also incorporates enhanced AF algorithm. 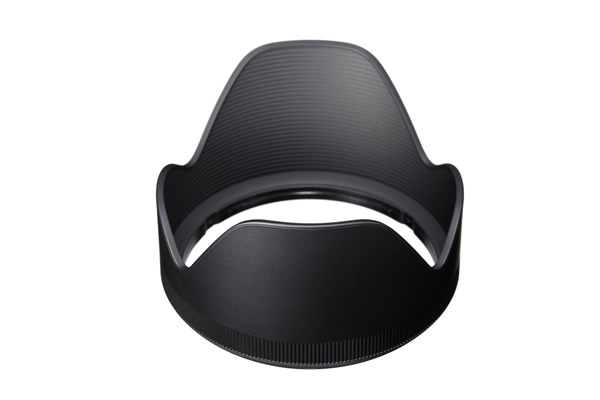 The new product lines uses rubber for the attachment part of the provided lens hood. The lens cap and AF / MF changeover switch have been improved. To ensure high accuracy, all metallic parts and the new compound material, TSC (Thermally Stable Composite), which has high affinity to metal parts, are housed internally. Newly developed special software (SIGMA Optimization Pro) that can update the lens firmware and adjust parameters such as focus. 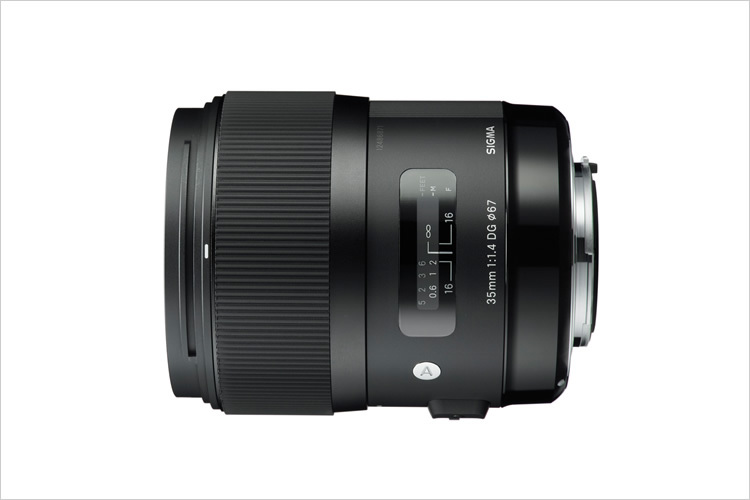 All SIGMA 35mm F1.4 DG HSM will be checked using this “A1” before they are shipped. 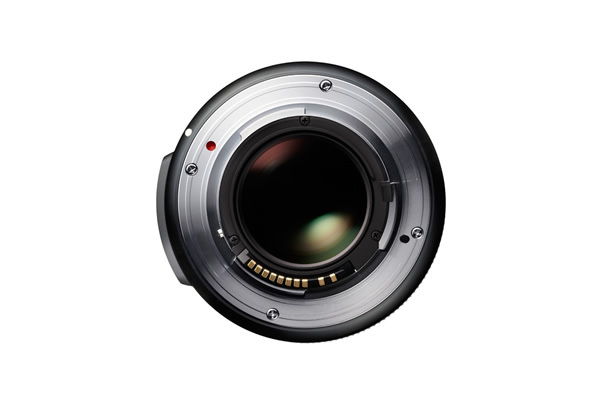 “A1” is Sigma’s own proprietary MTF (modulation transfer function) measuring system, using 46-megapixel Foveon direct image sensors. “A1” makes possible to inspect previously undetectable high-frequency details. This lens is “Made” in Japan. All Sigma’s manufacturing right down to molds and parts is carried out under an integrated production system, entirely in Japan. We are now one of the very few manufacturers whose products are solely “made in Japan”.